The 2014–15 Decorators Club Education Fund Lecture Series is a celebration of the ephemeral. Whether on stage or film, at a party, or in the dining room, some of the most inspiring, joyful, fascinating, and unforgettable design moments are fleeting and doomed to disappear. The series features four major design talents of the 20th century who created many such moments. The premiere lecture is this Wednesday, November 5, and features the legendary Tiffany & Co. Design Director Emeritus John Loring speaking on Joseph Urban. Perhaps you've never heard of Urban, one of the Metropolitan Opera's first scenic designers and William Randolph Hearst's preferred architect (among many other things). This is precisely what the series is all about and why you need to come. I hope to see you there! Please join me, fellow authors Maureen Footer, Alex Papachristidis, Vicente Wolf and a host of others for a massive book signing event to inaugurate the new location of the city's best design bookstore, Potterton Books. I'm sorry to report that this book, or at least the copy that I encountered, is very badly printed. Perhaps it's one more symptom of the decadence of the paper book, but the printed pages in this volume are so difficult to read that I threw it aside in disgust. You really need to look through the book before buying it to make sure that your eyes can handle an extremely inferior print job with a tiny typeface. 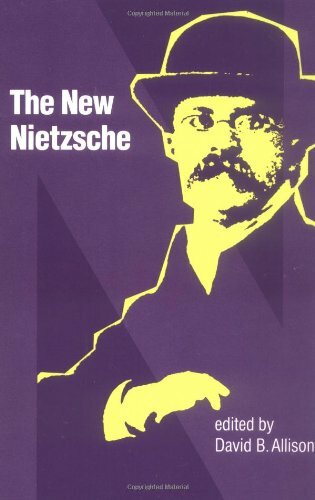 I also hated the heavily doctored picture of Nietzsche on the cover that makes him look like a bewildered shopkeeper. Couturier Charles James on…"Clients whom I would have liked to dress…"
If you have the opportunity to visit the exhibition Charles James: Beyond Fashion at the Metropolitan Museum (closing August 10), don't skip the small room devoted to the designer's archives. James was clearly aware of his place in fashion history and made sure to document his influences (including Jules Pascin, Kees von Dongen and Christian Berard) and opinions on his contemporaries ("Illustrative Designer-Artists whom I abhorred and thought in their pretention to represent fashion disgraced it: ERTE"). Born a fairy princess to charm and court discipline; become [sic] sad with time. Mrs William BUCKLEY New York. Smart, imaginative, ready to develop taste; still lacking it. Beautiful and far greater actress than recognized. One wonders why Hubble didn't have any children. He was basically a country boy deep inside, and it seems likely to me that he would have wanted children. So who stopped that from happening? I suspect that his wife Grace played a part in that situation. If she didn't want kids, she had ways to prevent pregnancy. The book contained a number of derogatory comments about Hubble's British accent and fancy clothes. But that's what got him access to the 100-inch telescope. The American astronomers who controlled the 100-inch were bowled over by Hubble's elegant facade. He did what he had to do in order to use the world's largest telescope (at that time). No one has commented about Grace's bizarre decision to cremate her husband and then bury his ashes in a secret location. THis is a classic symptom of a hyper-controlling wife who has secret issues with her husband and denies him the grand funeral that he must have wanted. It's like Grace wanted to erase Edwin from the surface of the earth. Such a hostile thing to do! A prophet is not without honor except in his own country. There is a Russian bio of Hubble that praises him in totally unrestrained language. But here in the USA, we seem to have the "tall poppy"principle at work, where the excellent is the enemy of the good and must therefore be cut down to size. One reviewer mentions the fact that dear Grace had access to the Hubble files after her husband's death, and had ample opportunity to destroy anything that she didn't like. I'll bet that she kept the good old incinerator pretty busy. If she prevented Edwin from even having a decent funeral, I'm sure that her need for control was total. Any good biography must be selective. I wasn't reading a bio of a famous astronomer to gain access to endless pages about his wife's cats. The entire episode of his WWII work should have been cut down to 3 pages maximum. The Russian bio of Hubble also contains the long-suppressed details about how a gang of younger astronomers formed a cabal to deny Hubble the access he wanted to the new 200-inch telescope. Those little rats did a real number on Ed. Hubble's trusted confidant, the mule driver that he turned into a famous astronomer, also seems to have played both sides of the fence. Such gratitude! The upshot was that Hubble's speech at the 200-inch dedication ceremony was canceled, and he wasn't even officially invited. He came anyway and stood in the shadows, watching silently. The frosting on the cake came when Hubble wasn't selected at the director of Palomar. When the hyenas really gang up on you, they don't stop until nothing is left. I mentioned a Russian biography of Hubble. It's much shorter than "Mariner" but it contains a lot of information that "Mariner" leaves out. The moral to this story is simply the following: You need more than one biography to discover the whole truth about anyone! Note from EEE: HHH's review brought to mind the recent Pope Francis controversy about childless couples (or single women) and cats. For a completely different reading of Hubble's relationship with his (rather than his wife's) cat, visit the Huntington Library's blog here. Hands down the most fun I've ever had writing an article has been for the current issue of House Beautiful. It was a true triumvirate of friendship between designer (Nick Olsen), client (a family friend) and moi-meme. Read the full interview here where you will discover that Leos (like the client) adore fiery red and that both the client and Nick have an almost unhealthy passion for chairs. Post-script from Nick: My one regret is that I've only now realized that Monsieur Saint Laurent himself was another Leo enraptured by bold colors, expansive collections, and tribal/animal prints! It's so fitting that one of his fabrics [see the print on the settee above] would set our entire scheme in motion. Post-script from the Owner: The sheets are Pratesi, not Frette. A big thank you to Newell Turner, Shax Riegler and Vicky Lowry for keeping in all my favorite bits. Photo by Maura McEvoy for House Beautiful. Introductory Note: I recently stumbled onto the prolific Amazon reviewer Herbert H. Highstone and I so enjoyed reading his exuberant, strongly opinionated critiques, I am sharing one – the first of many, I hope – here with you. In an age of puff pieces and ego massaging, Mr. Highstone is refreshingly and fearlessly frank. Bravissimo and encore! Totally Delirious Excess – Mr. Z Does Not Disappoint US! I caught a glimpse of this outrageous movie on late night TV. This film includes a delirious, dream-like staging of Verdi's Aida that goes far beyond excess in a way that will delight the loyal fans of Mr. Z! Elizabeth Taylor, wearing very heavy brown makeup, looks dazed and confused as for once in her life she is totally outstaged by the most monstrous production of Aida that you can't imagine until you see it on your own screen. Jewels! Gold! Four-foot trumpets blaring out the famous triumphal march! Even the mad King Ludwig would be pleased by this lunatic dream of a movie. The actor playing the young Toscanini looks exactly like Dr. Zhivago, but who cares? We're on another planet and we're loving it! Verdi is totally conquered and overwhelmed by this postmodernist drama of infinitely lavish excess. Drag out your carefully hoarded bottle of absinthe and get ready for the head trip of all head trips! Two things I remember from childhood are the ubiquitousness of the English poet and gardener Vita Sackville-West's books and the constant discussion of the moving and dividing of hostas. Only until this year did I see the point of either. In a recent interview, Rufus Wainwright remarked, "I was so averse to anything relating to gardening because I did always find it the most boring, retired-person thing to do. That being said, we have a garden now, and I’ve never been more excited in my life than waking up and seeing a little pea come out of the earth. It’s like a Wagnerian opera..." Like Rufus, the cultivating of one's own patch of dirt has proven to be a game changer and I now affectionately look after several hostas and have even had my first family conference on their relocation. In anticipation of visiting Sissinghurst on this trip (which merely spanned several days, not months as my blogging pace might lead you to believe), I dusted off a few of the Sackville-Wests inherited from my grandmother. The first to be tackled was The Garden (full disclosure: first on account of its slimness and charming illustrations by Broom Lynne). Published in 1946, the book is in fact a 135 page poem traversing the four seasons with the presence of war felt throughout. It is elegiac and evocative, but, on my current high carb diet of reality shows, my attention soon wandered and it was in a moment laid down for V. Sackville-West's Garden Book. Now we were cooking with gas. Not only was this a collection of articles culled from her Observer column that ran between 1947 and 1961, it was an anthology, a best of the best if you will, taken from four previous already curated anthologies of articles. Organized by month the article was originally published, one can dip randomly into April and read "The merits of grit" or December for "Companions for roses." "I should plant only the best things in it, and only the best forms of the best things, by which I mean everything should be choice and chosen. When you only have a very small area to your command you cannot afford to be otherwise selective." "I am never quite sure what I feel about the gladioli. Handsome, yes; wonderful in color, yes; … supreme in the late summer flower shows, yes, in those great peacock-tail displays like swords dipped in all the hues of sunrise, sunset, and storm. Here I come to a full stop and start saying No. I don't like their habit of fading at the bottom before they have come out at the top… I don't like the florist-shop look of them. No, take it all around, I cannot love the big gladiolus. It touches not my heart." Sackville-West and her diplomat husband Harold Nicolson purchased Sissinghurst Castle in 1930 where they lived until her death in 1962. As her daughter-in-law Philippa Nicolson describes in the foreword, Sackville-West formed a gardening philosophy: be ruthless (don't keep anything that displeased you the previous year); let plants self-seed and ramble; an architectural plan - with hedges, paths, and walls as well as with the relation of plants to each other - is essential; and, very interesting to my mind, not all parts of a garden have to always be in bloom. An area can be spent and attention can shift to another area. Finally the fateful day had arrived and my friend Maeve and I drove to Kent. We arrived just before 5, having underestimated traffic and overestimated a map, but it was all for the best as we practically had the grounds to ourselves bar a German here and there. One enters the property via a long dirt road enclosed by ancient hawthorn hedges. Maeve told me one can date how old a hedge is by how many other vines have grown into it. Sissinghurst's collection of roses is one of its great lures. Maeve was on the hunt to see one plantswoman (and wife of Adam Nicolson) Sarah Raven extolled, but alas we concluded it must already have bloomed. I admired this pink beauty which was blowsy but also formal. As you rose connoisseurs already know, THE rose nursery is David Austen which Maeve and I decided is our next outing. "When I first started gardening I began the predictable path of being seduced by color and blooms. One of my mentors, gently explained the natural evolution of gardening. She said you know you have made to the other side when you think first of leaf color and form." I love me a self-made obelisk. I have two jasmine-vine covered ones at home. The Barn, adjacent to which is the gift shop and cafe where one can enjoy a glass of white wine. After the aforementioned glass of white wine and the obligatory purchase of a tea towel, Maeve and I departed, eyes and soul full. Nigel Nicolson, Portrait of a Marriage On Harold and Vita's unconventional marriage by their son. The portrait of Vita by William Strang on the paperback's cover captured my curiosity as a young girl. Vita Sackville-West, All Passion Spent A novel written as a companion to friend and former lover Virginia Woolf's A Room of One's Own in which the heroine can finally live life on her preferred terms. Spell-binding and high readable. Get the version with Joanne Lumley's foreword. And for your next 5 minute escape break, read this amusing Amazon review of Victoria Glendinning's bio of Vita. Please excuse the undisciplined nature of this post. Consider it an homage to Vita's preferred rambling cottage garden. Like Mario and doubtless many others since, I've pored over photos of The Yellow Room so many times that it has become an old and familiar friend. Yet unfathomably I had never stepped foot into Avery Row until this trip. The exterior of 39 Brook Street. Read Mario's book on how he first encountered John Fowler outside the shop in the 1960s… It is a charming tale of twin pocket squares out of Plautus. Mario, Maureen and I were Colefax & Fowler's guests at Claridge's for lunch, a mere 20 paces away. I had a glass of sauvignon blanc with the lobster bisque, served in a spa-like portion and fortunately augmented by spring peas ordered for the table. I must admit the tremendous enthusiasm and anticipation my companions showed for these peas did arch an eyebrow, but after one spoonful, I am a now a devotee. There may be nothing better than fresh English peas (rolled around in butter and basil I believe and al dente). And if there is one other hot tip you must take away from this blog, it is to never miss going to the loo in a smart hotel or restaurant. Claridge's ladies' powder room is mint green and black Deco deliciousness. After cappuccino and an affogato for Mario who is a dessert-hound (he would alway brings cookies to our meetings. Once, after we discovered a mutual passion for peanut butter-chocolate ice cream, he brought a pint of chocolate and a jar of Skippy as the grocery store didn't have this flavor of the gods in stock), we embarked on our short journey to C&F. For those who haven't yet made their first pilgrimage, the shop is composed of a rabbit's warren of rooms, rambling from one to another. The back of the building looks out onto this courtyard garden. C&F's archivist Barrie McIntyre, who is an incredible repository of information and a jewel in the firm's crown, shared that Mrs. Lancaster was furious with Mr. Fowler when the walls (barely discernible now under the ivy) were painted and the two rowed for weeks. On the first floor (or our second floor) one goes through this small room before entering the barrel-vaulted double-height Yellow Room. Barrie told us that Mrs. Lancaster purchased the large old master painting (to the right) for the frame. She then had the canvas cut up and applied to the walls and closet doors. Even though the room is no longer furnished with Mrs. Lancaster's antiques (Mario calls the room "a scrapbook of her life") it is still lyrical. AFTER: In 1957, Nancy Lancaster moved into the set of rooms above the shop to economize. This photograph by James Mortimer shows it in 1982. When Mario Buatta, Il Principe di Chintz, wondered if I might be going to London anytime soon, I pounced on the opportunity to tag along. London in June is glorious – the weather is that civilized state of sunny but not scorching; hat shopping for Asc't is in full gear (as you know, fascinators or any headgear under 4" circumference will not get you inside the royal enclosure), and the art and antiques scene is buzzing with shows and sales. Speaking of which, Mario and I rendez-voused at the opening of the Haughtons' Art Antiques London fair. The show originated as a much-acclaimed ceramics show and it continues to be particularly strong in that category. While a monkey caught Mario's eye on Brian Haughton's stand, I was gobsmacked by this unusual 18th century faience boar's leg tureen. German, of course. Mario thought this aristocratic gentleman resembled our mayor Bill de Blasio. The opening night benefited Princess Eugenie's charity Children in Crisis. Throughout the show and outdoors, a somewhat bizarre note was struck by a company of actors circulating in Dickensian dress. After quaffing a glass of Champagne and Victorian lemonade, Mario and I hopped it over to Mayfair to dine with old clients and friends at George, the most informal of Mark Birley's clubs. I knew I had to order the roast chicken when I saw it was accompanied by bacon and mashed potatoes. Afterward, we window-shopped Neame across the street where Mario spied a promising pagoda-topped mirror during which an at first amusing but then disconcerting man with a passion for chickens engaged us in conversation. The next day Mario lectured at the Olympia show, followed by a shopping expedition on the Fulham Road. He is currently working on a sprawling Palm Beach residence which he says is his last project ever. After lamenting how many of the shops are no longer there or even selling antiques, he repaired to his hotel room while I met my friend Rosie West for a drink at Bibendum. Rosie and I had serious business to discuss as I am hoping to commission a portrait of Joan Crawford from her. Of course, there was so much to catch up on, we still have yet to hammer out young Joan, shoulder-pad Joan or cowboy Joan. Before Rosie took me to dinner at the House of Lords (such a treat), we stopped by Nicky Haslam's flat to celebrate the London launch of Maureen Footer's George Stacey and The Creation of American Chic. The book is as attractive and diverting as the authoress, above with Min Hogg (founder of the sublime World of Interiors), and I can't recommend it highly enough. (Click here to see more photos of Nicky's chic chic chic (I know it's a tired word, but it so applies here) flat. There were so many lovely people there. I particularly enjoyed meeting designer Vere Grenney (whose shell pink living room I dream about and is the cover of Carolyn Englefield's forthcoming to-die-for book for Veranda) and dealer Valerie Wade. Valerie got her start with Geoffrey Bennison. She told me how Bennison, decorator to Rothschild and exalted others, used to go out on the town cross-dressed and in a wig as Big Carol (after Carol Channing). After a delicious dinner made all the more so by the company of Rosie's husband Lord West who has a fascinating BBC radio program Britain at Sea currently broadcasting on the Royal Navy in the twentieth century (listen here), it was time to head home to Pimlico and the Shabsters. Emerald, chartreuse, celadon, apple green – much of this weekend was spent admiring Spring's new growth. After a harrowing winter, these leafy spurs do as much to revitalize the spirit as they do our environs. It is because of this rejuvenation* that I return to this page. On Saturday afternoon, Mr EEE, sister-in-law Marianne and I visited acclaimed American textile designer Jack Lenor Larsen's LongHouse Reserve. Only open to the public two afternoons a week, we made sure to to organize our day around it. Larsen regards landscapes as an art form. And just as shrubs, groves, and perennials are artfully massed, contemporary works by 20th and 21st century artists including Yoko Ono, Willem de Kooning and Cy Twombly are thoughtfully installed to interact with the natural setting. The apparent "undone-ness" of Larsen's gardens is reminiscent of his textiles, many of which are random by design. In the 1950s, when he first founded his firm, his work featured natural yarns handwoven in random repeats. The abstract designs were contemporary, even modernist, yet also timeless in their celebration of the art of the hand. Larsen has ever since been a beacon of the craft movement and is one of only four Americans to have had a one-man show at the Louvre. Undoubtedly Mr. EEE's favorite moment was the Geodesic Dome designed by Buckminster Fuller and originally intended to be used as a residence. (To my Neoclassical horror, it is his dream to one day build and live in one. But perhaps with a columned portico?) Boulders of mesh, wire, styrofoam and concrete by artist Grace Knowlton echo the dome's shape. Each orifice frames a view or painting, explained a wandering guide. Gaston Lachaise's work enclosed by Hornbeams above reminded us of Kimye's nuptials that same weekend. Because I firmly believe in the experiential dimension of shopping, I paid a visit to InHouse, the reserve's gift shop which is stocked with handmade fashions and wares, many only available there. In a blink of an eye, I was newly enrobed in Penhaligon's peppery floral Bluebell and this smashing raffia tote. I look forward to the darling buds of May unfurling into June blossoms here with you. Thank you for continuing to visit and come back soon. *AND because of the wise words of GG, to whom this is dedicated, who is always faultless – except for his dislike of The Hare with Amber Eyes. Sharawadgi! A friend just acquired this wonderful oil painting by artist and fashion illustrator Kenneth Paul Block*. It depicts a fantasy cocktail party with glamorous jet-set guests. We know for sure that the bearded man on the left is Christian Berard, but are mystified by the others. Perhaps the gentleman with the red carnation is Cole Porter, who was never without one as a boutonniere - unless going to court? I know you, well-informed and omniscient readers, will crack the mystery! *For all fans of fashion illustration, the book Drawing Fashion: The Art of Kenneth Paul Block by Susan Mulcahy is a must. As the daffodils and cherry blossoms bloom, I'm celebrating Spring's spirit of renewal by heading out to Chicago for the Antiques & Garden Fair opening this Friday, April 19 through to April 21. This year's theme is dedicated to color and could there be a better inspiration than nature's own riotous spectrum? Chicago, one of our country's foremost cities for architecture, has always been a hotbed of design. Fittingly, the fair has planned a wonderful schedule of style-centric events and speakers, including Michael Smith and Charles Stick. I'll have the pleasure of dishing on design with lovely ladies Jennifer Boles of The Peak of Chic, Stylebeat's Marisa Marcantonio, and the fabulous Julia Reed on Saturday afternoon. Click here for more information. Hope to see you there! Almost. This fall the one and only Mario Buatta's first ever monograph is coming to a bookstore near you. It is going to be enormous and packed with hundreds and hundreds of glorious photographs, including projects never before published. And if you think you know everything about the Prince of Chintz's style, you will be surprised. It has been the most marvelous adventure working with Mr. Buatta on this (not to mention my new collection of toy Harold cockroaches and wind-up mice). As this will be the end-all, be-all book on all things Buatta-ful, what would you like to see, hear, know? Winterthur (the thur pronounced with a hard T!) is a house museum I never tire of visiting. While its collection of American decorative arts is top notch, it is the house as a whole - a spectacular, precious document of a certain rarefied way of 20th century life that has all but evaporated - that I find so compelling. The museum takes pains to maintain the seasonal changes, from curtains to slip-covers, that were in place during the day of its owner Henry Francis du Pont and lucky us - for the result is the feeling that time has stood still and we are back in there halcyon days. du Pont took entertaining seriously and an evening's arrangements were rigorously planned with military precision. His daughter Ruth Lord recalled in Henry F. du Pont and Wintherthur, "In the huge china closet, whose shelves were loaded with stacks of dishes, a footman would climb a ladder and perilously hand down several centerpieces and matching plates. My father and the butler would then decide on the combination of china, glass, and linen that would best complement the flowers . . . Guests were not permitted to see the room before 8:30, when-with the butler's announcement of dinner-the curtain went up." As many from Edouard Vuillard to John Fowler would agree, du Pont remarked that "... color is the thing that really counts more than any other" and it was around this guiding inspiration that his table schemes evolved, starting with flowers collected from du Pont's own gardens and hothouses on the property. Maurice Gilliand, the Winterthur butler from 1944 to 1951, noted, "On the estate, Mr. du Pont was known as the Head Gardener, in his house he was known as the Head Butler." With his tables, he combined both roles. Because of the custom of speaking only to your dinner partner on one's left during one course and then on the right during another, low squat arrangements weren't necessary. Depending on the size of the dinner party, a number of cascading bouquets paraded down the table's center at eye level. In fact, creating a wall of sorts down the middle created intimacy. The museum has a record of many of these arrangements as du Pont meticulously documented his favorite table settings. No detail or effort was spared - one imagines that du Pont took as much pleasure in the planning and plotting as his guests did in the unveiling. Maggie Lidz, Winterthur's historian, discovered that du Pont commissioned artist Marshall Fry to hand-dye and crochet the table linens to complement the china. Maggie notes, "Du Pont was so fond of them, he worried about their fate after his death. He instructed his executors, "The colored mats and napkins are not to be sent to a public laundry. With careful washing they have kept their colors for many years. I do not want them spoiled. They were made by Marshall Fry of Southampton and are in themselves well worth preserving." This year's Delaware Antiques Show (running November 9 - 11) will present a special loan exhibition dedicated to du Pont's firecracker table displays. On Sunday, the 11th, Maggie will lecture on his legendary entertaining. For details on this and other lectures at the show, click here. “So which is your favorite Louis”? Monsieur X leaned over and inquired. The entire dinner table went quiet. Even after a two year sojourn in Paris, I still didn’t have a grip on the Louies, but instead of coming clean I blurted out the first one that came to mind: “Louis XIV”. “Vraiment?” he replied with the faintest look of horror. It was only months later I understood his puzzlement. Although I soon was taught to abhor labeling furniture by the reign in which something was made (as interiors weren’t jettisoned the moment a ruler died), 18th century France does seem to be the exception. During this time, style and luxury became the country’s greatest export and were hand-in-hand with its national identity. It was the Sun King himself who awed the world with the magnificence of his palace Versailles. Courtiers were kept in line with pomp and ceremony and the decorative arts reflected the mighty power of its sovereign in their somber splendor. Today the stiff opulence of this style is better suited to a Wall Street titan’s duplex or in a museum than most mere mortals’ domiciles. Louis XV by contrast is about intimacy and comfort reflected in curved backs, cabriole legs, and smaller proportions. It is my friend Maureen Footer’s favorite and the showroom pictured above features a few of her own Louis XV pieces. And which Louis are you? The William Racke Studio realized Skurman's design here. They and many others donated their services so that as much money as possible would go to the benefitting charity Enterprise for High School Students, which prepares and trains students for employment and higher education. In celebration of the America Cup which the city is hosting in 2013, the fair showcased all things nautical. This vitrine of specially loaned objects includes a pair of mid 17th century Sicilian shellwork "Fantastic Gardens" from Ann Getty's collection, precursors of Tony Duquette whimsy. Obsolete, a Venice, CA gallery, showed an installation by artist Ron Pippin of 120 ships. A mechanical cow sculpture with disturbing tail was also on view in their stand. I attended the opening with my good friend Deb Hatch, on the right in a Giants scheme of orange and black. She also was paying homage to Swan Babe Paley with a Giants kerchief tied around her evening bag. On the left is dynamo Lisa Podos, the director/maestro of the show. As the evening was the kickoff of the world series and San Francisco is full of rabid Giants fans, Lisa and her team were clever and set up a viewing area complete with hot dogs and pretzels. Deb's pick of the show was the Renaissance poesy rings at medievalist Les Enluminares. The simple bands of gold are engraved with charming inscriptions such as "Youres I am" and "De Boen Coeur" on the interior. it's always a pleasure to see the textile treasures of Kathleen Taylor and the Lotus Collection. Steinitz of Paris had one of the most spectacular stands, taking an early 18th century Kentian paneled room as its surround. It's all in the details and so even if I won't be taking this fabulous marquetry Mexican cabinet home with me, I can certainly replicate this striking arrangement of succulents in its interior. Olivia Hsu Decker, power realtor, whose stunning vintage Dior jacket was the European cousin to my antique Moroccan caftan. Mark your calendars for 2013 - I'll meet you at the chocolate covered strawberries! One of my favorite reads by one of my favorite writers has found a new home. You can now find Christopher Petkanas' "Fabulous Dead People" online at W magazine. While clearly I resonate to Petkanas' (or better known as Monsieur du Panier by his intimates) subject, it is his fearlessness to tell the unvarnished truth like it T-I-is that is a rarity in these days of PR puff pieces. Click here to read about his latest FDP, Hélène Rochas, the inspiration behind several of her husband Marcel's fragrances and a client of Mme Castaing incidentally. Then visit the Christie's sale happening right this minute to view the grand goût français contents of her rue Barbet de Jouy flat. Rochas' dining room, with one of six trompe l'oeil panels of famille verte Chinese porcelain painted by Alexandre Serebriakoff, lot 20, visible.